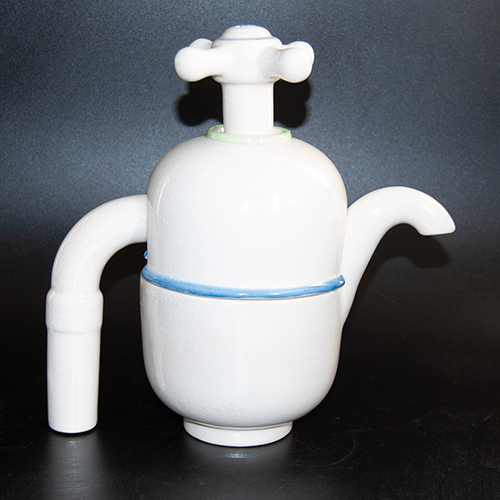 This is the Kitchen Tap Teapot designed by Roger Michell and made and decorated in a small edition (no more than 100) in his Lustre Pottery studio in 1973. 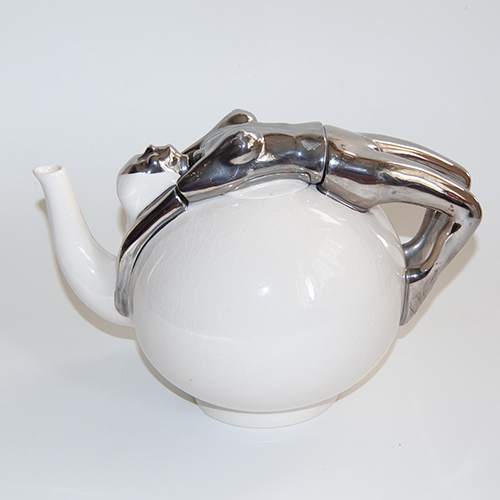 This design was produced later in the 1970s by Carlton Ware in colaboration with Lustre Pottery in larger numbers. Bears the printed mark LUSTRE Made In England to the base.